Welcome to Bingo Holiday, the #1 Classic & Special Bingo games! FREE Bonus every hour! Really? Amazing! Explore 30+ appealing scenes, Travel, Bingo, Send and receive gifts with friends, Challenge events and find all the Epic Collections! Awesome! Let's Play Bingo and enjoy never-ending fun anywhere, anytime! Happy Valentine's Day! Get your sweet gifts in Bingo Holiday and win BIG in your favorite True Love! Try your luck with the unique power ups: Daub Hint, Shield, Triple Free, Instant Bingo, Bombs, Double EXP, Double Coins, Flash Cooling...Use Power ups to WIN BIG! Play classic bingo games to have a fantastic exploration of World Tour with 20+ famous cities: New York, Paris, Dubai, London, Las Vegas, Tahiti, Bali, Santorini... Can’t wait to fly around the world and catch hold of the mysteries! Multiple Unique Bingo Styles bring you a bigger chance to win mega prizes! UK Jackpot, Slots Bingo, Blackout, Secret Garden, Dessert Master, Jackpot Blast, True Love...The greatly memorable scenes are right here waiting for you to experience! Play with friends and compete with thousands of real-time multiplayers in the tournament, get thrills of the ranking entertainment! Collect tournament Jewelry puzzles to compose your Super Crown! Travel the world and find mystery Collection items! Accomplish the epic collections with a lot of fun! Two ways to earn your exclusive treasures either from shadow cards or puzzle pieces. Sign in every day to collect your daily bonus and HOURLY freebies! Challenge with global players to win more rewards! The best choice to accompany with you and kill the long boring time! Sharing is caring! Send and receive the gifts & collections with your friends! Spread out your fortune and double the happiness! Eager to enjoy Big Win, Huge Win, Quick Win, Double Win? 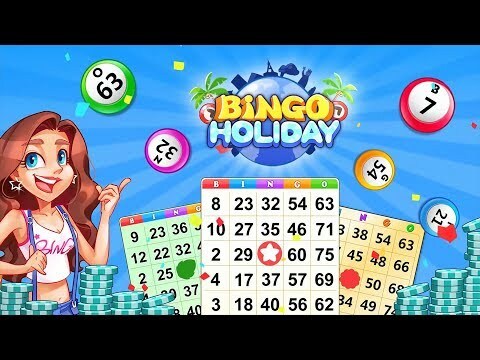 Play Bingo Holiday: FREE Bingo Games RIGHT NOW! Any suggestions? Having a fever for our Bingo app? 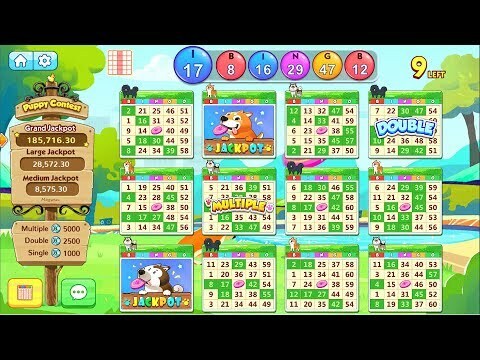 Already a big fan of Bingo Holiday: FREE Bingo Games? Like us on Facebook to catch more information and grasp your freebies! *Bingo Holiday: FREE Bingo Games is intended for use for amusement purposes only. THERE IS NO REAL CASH PAYOUT YOU CAN EARN. *Bingo Holiday: FREE Bingo Games does not offer real money gambling or an opportunity to win real money. *Bingo Holiday: FREE Bingo Games uses Facebook as ads provider. Facebook and instagram likes wants to show ads relevant to you. For more information, please check https://m.facebook.com/ads/ad_choices. Happy Easter! Brand NEW Super Bingo room ‘Egg Burst’ is coming! Have fun with hidden Easter eggs and get your surprise now! 1. BRAND NEW world tour city - Hong Kong is added, time to explore mysterious collections! 2. Your favorite 3-hour hint is back in the store, grasp it and do not miss any bingo! 3. Bugs fixed for the bonus of rallying friends. 2. 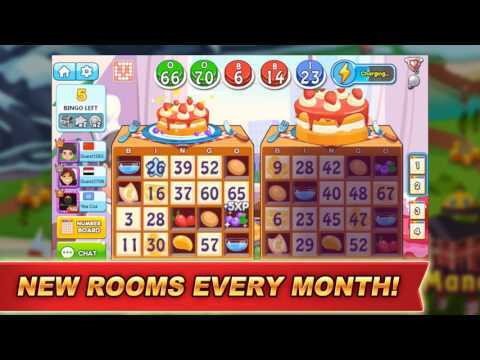 You can subscribe monthly Bingo Elite and get everyday bonus now, super discount awaits! 3. Your favorite 3-hour hint is back in the store, grasp it and do not miss any bingo! 4. Bugs fixed for the bonus of rallying friends. Merry Christmas! Time to explore your mysterious Christmas gifts this winter! - BRAND NEW Xmas cover is coming! Update and play Bingo with Santa Claus NOW! Happy Thanksgiving! Hurry to get your Thanksgiving Feast in Bingo Holiday, this is the festival to enjoy autumn, thanks for the harvest and blessings! Let’s look forward to the coming special Thanksgiving sale and event, your Super BONUS awaits! Happy Halloween! Get your special SPOOKY treat in Bingo Holiday and grab Halloween fun! - Bugs fixed and optimization. 1. More PUZZLE pieces on your cards - Win your exclusive collections more EASILY for Bingo fun! 2. Optimization for Bad calls - The card will get frozen for 10 seconds if you hit the bingo by accident, you can continue to play then! Optimization and bugs fixed to bring you better game experience! 1. New instant communication entrance for Customer Support in the lobby. 2. Bugs Fixed for e-mail verification and video bonus. 3. Optimization for level up and collections. 4. Adjustments for the position of Collected Number board. - An advanced crown had been added in the tournament! Bug fixesEvery update of Bingo Holiday includes improvements and enhancements to make it better for you! Get the latest version for all of the available new and advanced features.We’d love to hear from you either from [Settings] > [Feedback] or Facebook Fanpage https://www.facebook.com/bingoholiday. Happy New Year from Bingo Holiday Team!This update brings a whole new female caller. Check it out and switch caller in [Settings] according to your preference.Every update of Bingo Holiday includes improvements and enhancements to make it better for you! Get the latest version for all of the available new and advanced features.Like us? Please consider rating us 5 stars! This update will save you the trouble of tapping energy bar every time it’s ready. Power ups can be used automatically now! Update and check it out →Every update of Bingo Holiday includes improvements and enhancements to make it better for you! Get the latest version for all of the available new and advanced features.Like us? Please consider rating us 5 stars! We’d love to hear from you either from [Settings] > [Feedback] or Facebook Fanpage https://www.facebook.com/bingoholiday. Every update of Bingo Holiday includes improvements and enhancements to make it better for you! Get the latest version for all of the available new and advanced features.We’d love to hear from you either from [Settings] > [Feedback] or Facebook Fanpage https://www.facebook.com/bingoholiday. Audio RedesignEvery update of Bingo Holiday includes improvements and enhancements to make it better for you! Get the latest version for all of the available new and advanced features.We’d love to hear from you either from [Settings] > [Feedback] or Facebook Fanpage https://www.facebook.com/bingoholiday. 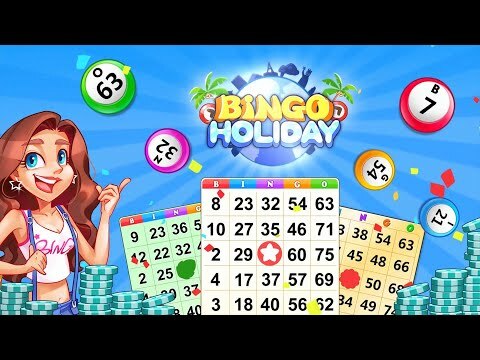 - Optimized UI and improved usabilityEvery update of Bingo Holiday includes improvements and enhancements to make it better for you! Get the latest version for all of the available new and advanced features.Like us? Please consider rating us 5 stars! We’d love to hear from you either from [Settings] > [Feedback] or Facebook Fanpage https://www.facebook.com/bingoholiday. See the sights and feel the roar of Niagara Falls this summer with Bingo Holiday!Every update of Bingo Holiday includes improvements and enhancements to make it better for you! Get the latest version for all of the available new and advanced features.Like us? Please consider rating us 5 stars! We’d love to hear from you either from [Settings] > [Feedback] or Facebook Fanpage https://www.facebook.com/bingoholiday. 1. A Puppy Contest comes to Bingo Holiday! Update now and enjoy a Jackpot Blast Prize!2. We’ve squashed some annoying bugs and improved the game experience.Every update of Bingo Holiday includes improvements and enhancements to make it better for you! Get the latest version for all of the available new and advanced features.Like us? Please consider rating us 5 stars! We’d love to hear from you either from [Settings] > [Feedback] or Facebook Fanpage https://www.facebook.com/bingoholiday. We’re always listening! This update is all about adding powerful new features for YOU!1. We make it visible how far away you are from completing the whole collection!2. Other UI or function optimizations that improve your game experience.Like us? Please consider rating us 5 stars! The greatest compliment you can give us is sharing us with your friends and family.We’d love to hear from you either from [Settings] > [Feedback] or Facebook Fanpage https://www.facebook.com/bingoholiday.